A company as successful as Nintendo could very well choose to rest on their laurels and simply allow money to flow into their coffers without giving anything back to the community that has made them so popular. 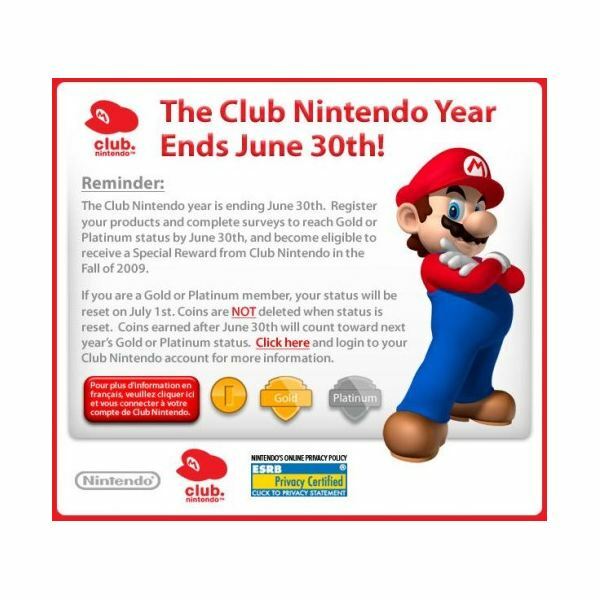 Fortunately, Nintendo has chosen to reward its loyal customers with the new Club Nintendo program. Members of Club Nintendo can register their systems and first-party games to earn coins that can be redeemed for exclusive Nintendo rewards. Learn more in our full guide to the program. 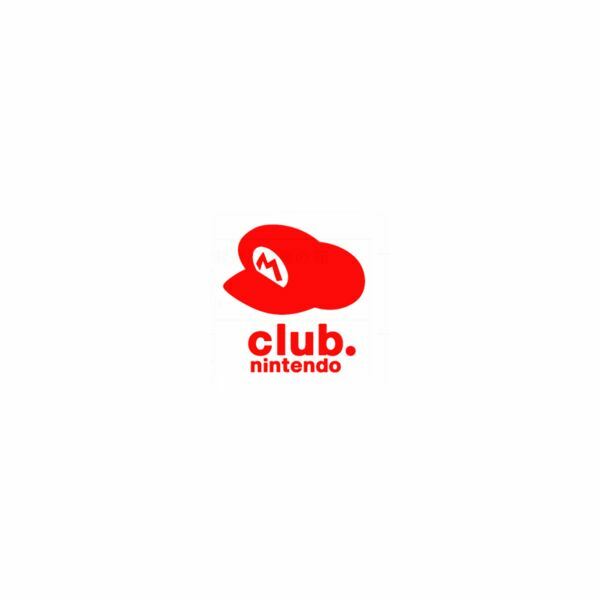 Gamers interested in joining the club should head over to the Club Nintendo website and click on the "Join Club Nintendo Now" button on the left side of the screen. Gamers who may have previously registered for the old "My Nintendo" program will have the option of converting their existing account over to a new Club Nintendo account. Doing so will enable them to keep all the games and systems they have already registered on their account and apply them toward new Club Nintendo rewards. Once you’ve completed the registration process, you’ll be able to login with your username and password to begin registering games and Nintendo hardware codes. 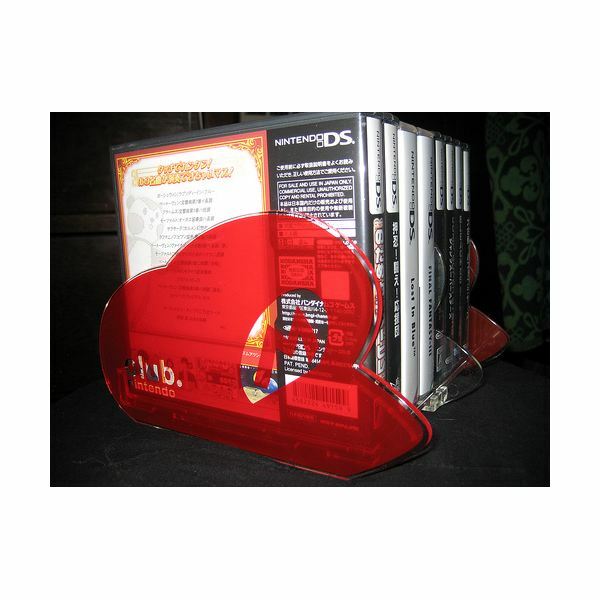 Each Nintendo first-party Wii and DS game comes with a special Club Nintendo flyer in the case. On the back of this flyer is a unique 14-digit code that must be entered into the Club Nintendo website in order to receive credit for the game. Once you’ve logged into the website, simply enter the code in the box below the "Earn Coins Now" banner. After you’ve entered the code, you’ll be asked to complete a short survey. When you’re done with the survey, the coins you’ve earned will be instantly added to your account. Nintendo Wii games are worth 50 points, DS games are worth 30 points, games downloaded from the Wii Shop will earn you 10 points (once you’ve linked your Wii to your Club Nintendo Account), and a newly-registered DSi system is worth 160 points. You won’t receive any points for registering a Nintendo Wii or DS Lite system, but many registered systems will qualify for a 90-day warranty registration from Nintendo. You can also earn 10 bonus points for registering your intent to purchase a game before you actually do so. You’ll also earn 10 more points for completing a post-play survey after you’ve had a game for awhile. You can also earn 10 bonus points for registering a game within four weeks of its release. Check out page two for more on the rewards you can earn and how to order them. Coins can be redeemed for a variety of rewards by clicking on the "Get Rewards" tab inside the Club Nintendo site. Rewards range from accessories to posters, to actual game software. Some personal favorites include the Legend of Zelda "History of Link" poster series for 350 points, the Nintendo DS Game and Watch Collection game available for 800 coins, and the Mario-themed DS game rack that can be picked up for 600 coins. To order these rewards, just click on the item you wish to receive and click the "Get it Now" button. You will be asked to input your shipping information and confirm your order. Orders typically ship within 3 business days and can take up to two weeks to arrive. Rewards are also given out on a yearly basis to those who accumulate certain amounts of coins within the year. Last year’s prizes included a desk calendar for gamers who achieved gold status (300 coins) and an exclusive downloadable Punch Out!! 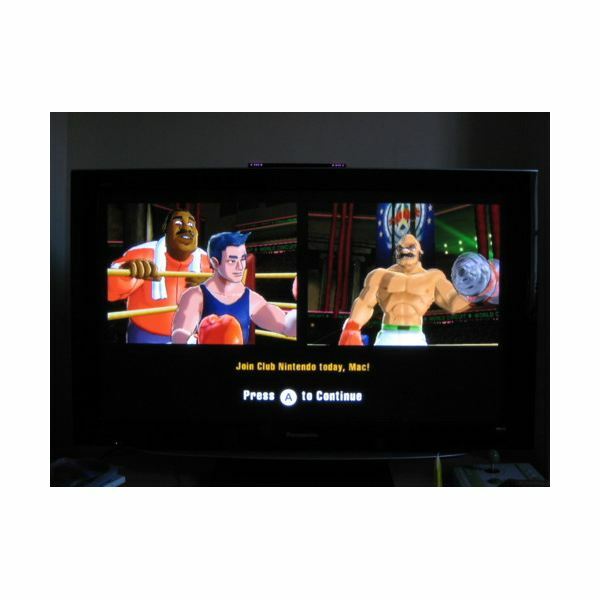 game for the Wii and a replica Mario cap for those who earned enough coins to reach platinum status (600 coins). 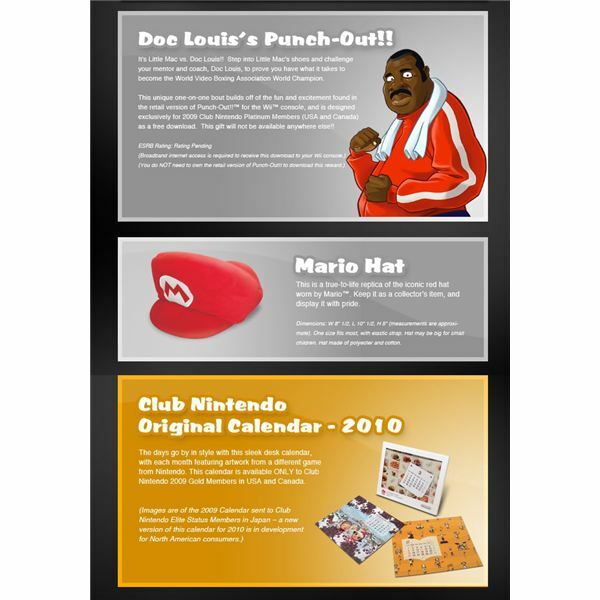 Yearly rewards are sent out automatically, so make sure your shipping address is correct on the Club Nintendo website. Elite status will reset yearly on June 30. Club Nintendo is a great way to earn rewards for games that you’re already buying, and a great incentive to pick up more Nintendo games to earn points. Some of the rewards aren’t that great, but other options like the exclusive Game and Watch collection make participation worthwhile. If you’re sure you’re going to pick up a game when it relases, why not let Nintendo know and earn a few extra points? The system is so easy to use, it makes little sense to not take advantage of it. Unless, of course, you don’t like any of the rewards. Basically, it only takes a couple seconds to register a game or system after you’ve bought them, so why not earn some coins for your games? Club Nintendo is yet another way that Nintendo keeps its loyal customers happy. Full details are available on the Club Nintendo FAQ page.